This website is a space weather information service, operated by the Space Environment Laboratory, Applied Electromagnetic Research Institute in the National Institute of Information and Communications Technology (hereinafter referred to as “NICT space environmental laboratory”). 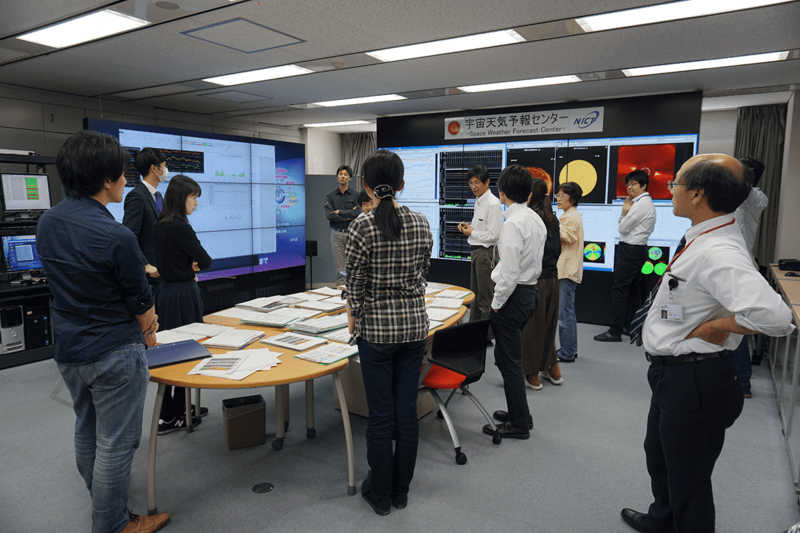 The provided forecasting information is updated every day at around 15-16 JST, after a daily forecasting meeting held by NICT at 14:30 JST. NICT Space Environmental Laboratory has continuously delivered the space weather forecasting information since 1988, as a regional warning center of the International Space Environmental Service (ISES),whose headquarter is located at the National Oceanic and Atmospheric Administration (NOAA) of USA. The purpose of this site is mainly for the use of operators of social infrastructure that may be damaged or affected by space environment disturbances (i.e., space satellite systems, radio communications and broadcasting systems). The contents of this site, i.e., the space weather forecasting information, are produced by forecasters on the basis of their analysis of various observation data, numerical simulations and model predictions. However, due to prediction techniques are still under development, we sometimes fail to make correct forecasts. Please be aware of this issue, when using the forecasting data.